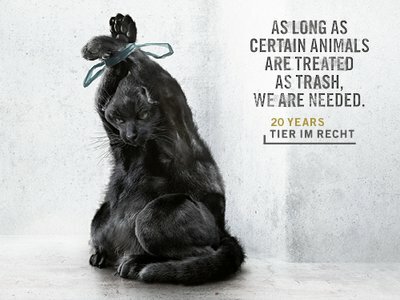 The current awareness-raising campaign by Tier im Recht "Animals as Trash" received a silver award in the category "Social" at the Epica-Awards in Amsterdam. 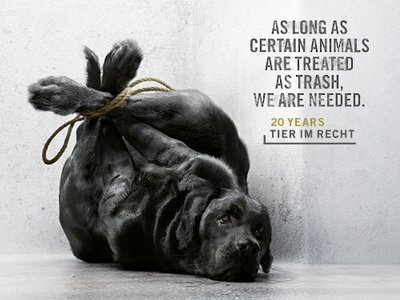 Tier im Recht is delighted to have received this honor and congratulates the advertising agency Ruf Lanz, which designed the campaign, on their great success. 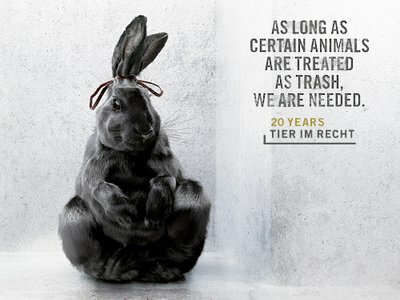 The renowned Epica-Award is the only international prize for outstanding creative advertising, which is awarded by the marketing and communications press. The jury is comprised of editors-in-chief and journalists from 34 magazines from 27 countries. In 2016, the jury members evaluated more than 3800 campaigns by 631 agencies from 66 countries. With two gold, three silver, and two bronze awards, Ruf Lanz was the most awarded agency from Switzerland. TIR sincerely congratulates Ruf Lanz on this great success and thanks the entire team for the pleasant and creative collaboration.